I enjoyed all the TS Eliot Prize readings on Sunday night. Dannie Abse won the crowd with his fierily brave and funny reading. As another Welsh poet said, Do not go gently… This was a year of stories: Moniza Alvi on partition (a description of her displaced family having to move into the empty Lahore house of a family displaced in the opposite direction is still haunting me); Helen Mort’s brilliant Orgreave poem; Daljit Nagra’s Ramayana, with extras to speak the animals; Anne Carson’s Red Doc>; and Sinead Morrissey’s gripping poem about childbirth and stairways to heaven. Afterwards the bookstall was mobbed in what must be the highest-selling moment of the year for poetry books… and also the moment of most lost sales opportunities. I grabbed Red Doc> and Sinead Morrissey’s Parallax, but had to put them back - the slow queue snaked all round the Clore Ballroom. Perfect awards can only exist in heaven. Even so, I felt uncomfortable: we were celebrating ten excellent poetry books, but how did they get there, and what about the others? There was an elephant on stage, who hadn’t escaped from the Ramayana. Not that the narrow focus of poetry prizes isn’t talked about. This year, 4 out of 10 shortlisted poets were women and 2 out of 10 had Asian backgrounds. So it was the big five question that was bothering me: the five being Bloodaxe, Cape, Carcanet, Faber and Picador, who dominate the major awards. I felt an audit coming on. I resisted it, on the grounds that people know the situation anyway, and because a fair response to the exercise would be, So what? Then I gave in, partly because it wouldn’t take long. In fact, it took a good couple of hours just to collect the data. And the results are indeed largely what we already know. But I’ll post them anyway. They provide background for debate, and most of the info isn’t available on the award websites. 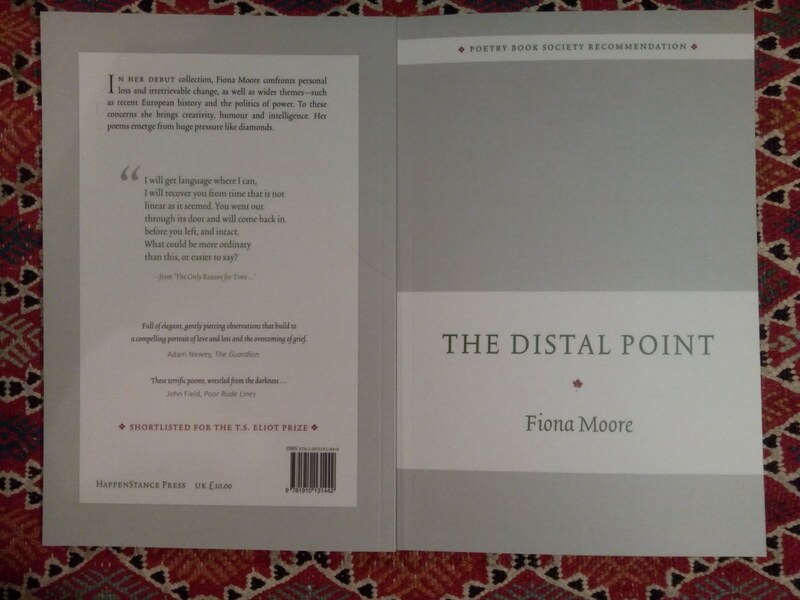 I looked at the last ten years of shortlists, from 2004 to 2013, for both the TS Eliot Prize and the Forward Prize for Best Collection (but not the Forward’s first collection prize). I counted the publishers of all shortlisted books. I also checked which poetry publishers the judges were with – all the TSE judges, and those of the Forward judges who are poets. A sample of the Poetry Book Society selectors (whose quarterly Choice gets automatically shortlisted for the TSE Prize) produced a profile similar to the judges. I also did a very quick gender and ethnicity count, thinking that it would be interesting to compare those figures with the big five figures for books published that I collected last year, see here. This is what emerged. All the winning collections were published by one of the big five. So: only 2% of TSE-shortlisted books came from small publishers. If you are such a publisher, you have a very small chance of getting a book onto the shortlist. Awards mean attention: sales, and reviews. If you are published by such a publisher, your collection has a negligible chance of being shortlisted for the TSE Prize. For the Forward, the percentage is a lot better, at 14%, but still discouraging. Nearly all the TSE judges are published by one of the big five. The figure for Forward poet-judges is three-quarters – better, like the figure for books. The hand-out from Sunday’s TSE reading lists the big five as supporters, below the two major donors, though it’s not clear what form the support takes. I’m not suggesting bribery and corruption here – more pointing out another symptom of the closed system. It’s a carousel. OK, no surprise there. Seren holds its own well, and CB editions has swiftly become an award-winner, from first collection prizes too. But what about Enitharmon, Shearsman, Arc, Penned in the Margins, Salt, Nine Arches, Eyewear, Shoestring, Smith/Doorstop – just to name some of the larger small publishers, some of whom publish more books each year than Picador or Cape? That question is not meant to disparage the many excellent books that are shortlisted, or the big five publishers; or indeed the judges. But a system as closed as this one can’t be healthy for poetry. As well as keeping small publishers and their poets down, it keeps the range of shortlisted poetry largely within the mainstream. Are only North American innovators allowed through, as in Anne Carson and Jorie Graham? And I do think that what goes on at the ‘top’ in any area of life has an effect on the rest, so just turning one’s back on the absurdity of prize culture isn’t an answer. There are things I don’t know, and probably things I don’t know I don’t know. (Readers, please help.) In particular I wonder how many poetry publishers enter books. There were 113 entries in 2013. Maybe some smaller presses don’t participate. 4 copies of each book must be submitted, on top of the 4 sent out for the PBS selection, so the very low probability of a return may not be worth the outlay. I’m not suggesting conspiracy – this is surely about psychology. It must be difficult being a judge in poetry’s small pond. I’m sure they don’t set out thinking: Oh, I must make sure friends X and Y are on the list, or: Need to fight for my publisher’s books. It’s probably more a case of: Oh we can’t leave out Z, such a good poet and this book’s so good. And Z’s book may well be worthy of attention. It’s just that J, K and L, whose equally good collections have come out from smaller publishers, aren’t known, so aren’t part of the discussion. That scenario is all too easy to imagine. When I think of the books I’ve most enjoyed in the last year, several of them are by people I know. A couple of second collections in particular come to mind (neither published by the big five) that I would like to have seen get shortlisted for a prize. For first collections, the field is somewhat more open, because the Forward and Aldeburgh first collection prizes draw from a broader range of publishers. After that, the door closes. Whatever the causes, it would be good if the organisers of both prizes could have a think about how to open things up. One possible solution has to be a wider range of judges, such as magazine editors, small press-published poets, reviewers (the latter are often poets too). I suspect the closed-system assumption is that these people are not the peers of poets published by the big five, but why not? Another might be to find ways of attracting more submissions from small publishers – just a statement that the organisers and judges are aware of the extent of the bias would be a start. Winners: in the last 10 years, with Sinead Morrissey’s win yesterday, 4 women have won the TSE Prize. Derek Walcott was the one black winner. Only 2 women have won the Forward, and no poets from ethnic minorities. See also Rob Mackenzie's blog on winners of a wider range of prizes. Female representation on Forward Prize shortlists is slightly over the one-third glass ceiling figure that’s often cited. Not bad; and fits in with the overall male/female ratio of big five books published. The TSE figure is surprisingly good – well over the big five m/f ratio. Clearly prize organisers have an eye on the issue, given their choice of roughly equal numbers of male and female judges. See here for an article by the Guardian’s Sarah Crown on gender bias and judging the Forward. The figures for ethnic minority poets are poor (especially for the Forward) which probably reflects how many get published by the big five. Again, the figures for judges are better. On both gender and ethnicity, it’s possible to imagine a roughly equal distribution if a wider range of presses was represented. And/or if/when the lists of the big five (Bloodaxe excepted) become more diverse. Now, I’m hoping that the LRB bookshop has copies of Red Doc> and Parallax. Interesting! Inspired by this I just totted up the figures for the Aldeburgh First Collection Prize Winners (since it began in 1989) - 13 men, 13 women, 15 different publishers out of 26 prizewinners. I suppose you might expect that, that the bigger publishers don't do so many First Collections perhaps, although every year they all do publish/enter at least one or two collections each. For a number of years we've had the same chair of the judges (first Michael Laskey, more recently Robert Seatter) who are joined by two other people each time. Mostly these are poets, although sometimes we get a poetry loving 'outsider' - such as broadcaster and songwriter Peter Blegvad in 2013. We try and choose people who know the Festival. Thanks for doing this, Dean. The Aldeburgh prize is a tonic, and one to learn from. Maybe the diversity of small publishers will feed through to TSE and Forward, eventually, but things are so static that they need a push. Great analysis, Fiona. I guess one (rather unsatisfactory) answer is that the big presses select out all the major talent, so that if you are good enough to win that sort of award, then that's who will be publishing your books. I was pretty shocked by the ethnicity figures, though, when there are so many great BME poets around. That's probably what the big presses would say... though I'm not sure any of them would believe it in all honesty. Talent is diverse, and tastes vary. Big presses may get a disproportionate share of good writers, but not all of them. The feed-through to the prizes makes the big five into gatekeepers which doesn't seem right. Eliot Prize connection with Poetry Book Society comes into a bit, as you acknowledge. I'm glad the nominations aren't restricted to what's come via the PBS (though if they included all the recommendations it would be a bigger shortlist). Lately I've been feeling that the PBS needs a different system - partly a different selection process, but also it seems rather confining that most of us will just get The Choice. Maybe I'd like to see a group of books chosen as recommendations without one of them coming first, and you'd respond quickly to choose one that you want, or otherwise leave it to them to send you one random one (which is not so different from getting The Choice willy nilly). That would promote more of the range and feed the star system a bit less - don't know how it might relate to the Eliots but then the judges could still commit to nominating at least four of the recommendation/choices. Also the PBS subscription is now edging above what it would cost to buy four books in a bookshop over the year, and I think they could make more special offers for subscribers to make it worthwhile. Someone commented on Facebook that the PBS selectors get the books / mss months in advance, which of course favours bigger publishers who are set up to do things like that. I like your idea of including all the PBS recommendations – then, as you say, the judges could pick 4 from them. That would widen the field quite a lot. I’m not a PBS member – was for a while some years ago, on the grounds that other people’s choices would be good for me, but decided I’d rather use the money to make my own. It would certainly be more attractive if they allowed one to choose from the recommendations. I have spent the last twenty years of my life desperately trying to persuade the British Poetry Establishment to become more democratic, transparent and accountable and have got absolutely nowhere. (I have now more or less given up and have published my own work with Lulu.com) I wish you the very best of luck with your crucial campaign! Well done! In the US a website -- since disbanded -- called Foetry, analysed relationships between judges and winners in the big competitions. The results weren't a surprise, but led to a uniform code of conduct, the Council of Literary Magazines and Presses Contest Code of Ethics, that all the major competitions specify. Are the TSE judges paid? I have another idea, though. Why not a small press prize? Winners get free beer and pizza, and ceremonies held at the Betsy Trotwood, or some such. No corporate sponsors needed. F: Thanks Norbert. The American example sounds good. Those relationships deserve more analysis here: between judges, shortlisted poets and (for the TSE prize) PBS selectors. I might do that when my inner geek recovers from the last audit, i.e. not for a while. 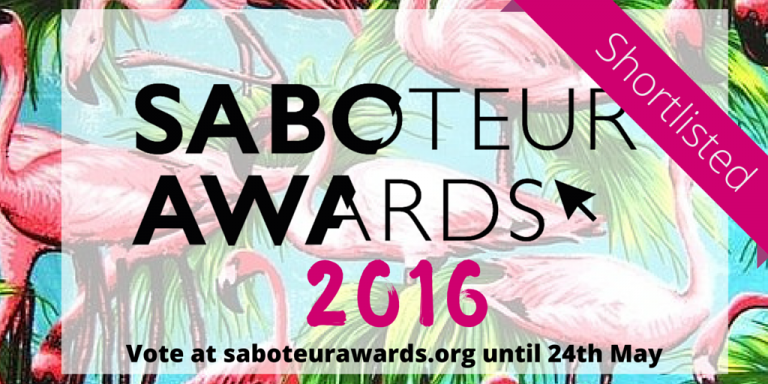 That's why the Saboteur Awards exist: voted by the public, supporting small presses and other small ventures such as pamphlets, magazines, spoken word poets... No prize money alas as we're not a money-making website but who knows, maybe one day a sponsor will turn up! RAGE, RAGE AGAINST THE BUYING INTO SHITE! !